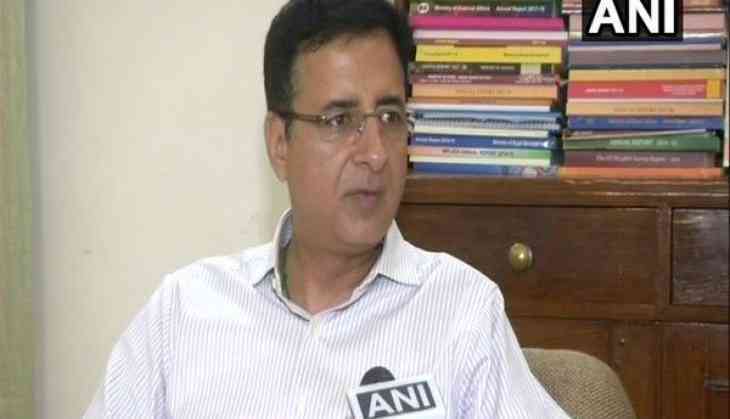 Congress leader Randeep Surjewala said that Karnataka chief minister-elect HD Kumaraswamy's meeting with United Progressive Alliance (UPA) chairperson Sonia Gandhi and Congress president Rahul Gandhi was a cordial one and that the two parties sought a long-term partnership with each other. "It was an extremely cordial and warm meeting. HD Kumaraswamy sought blessings from Sonia Gandhi as an elder and the head of the family. He thanked Rahul Gandhi for taking steps to form the coalition and offering the CM's post to him despite Congress having the larger numbers," Surjewala told ANI on Monday. He further stated that, in the meeting, Kumaraswamy suggested he would continue to seek guidance on governance of the state from the Congress leaders as welfare and development of the state is his party's primary focus. "He assured Rahul Gandhi that he will continue to seek guidance both on governance, policy and welfare issues which is the agenda of the Congress and JD(S) coalition. For both of us it is not a quest for power but for development of Karnataka," Surjewala said. "He assured he will work with co-ordination committee of both parties and with every Congress leader and worker to ensure difference of opinion is settled at earliest amicably. He also said it isn't a temporary arrangement for JD(S). He seeks long-term relationship with Congress," he added, hinting towards a long-term partnership with JD(S). JD(S) Secretary General Danish Ali and Congress's KC Venugopal were also present with Kumaraswamy at the meeting. Earlier on Monday, Kumaraswamy met Bahujan Samaj Party (BSP) supremo Mayawati at her residence here and invited her for his oath ceremony scheduled to take place on May 23 in Bengaluru. The oath-taking ceremony will witnesses a gathering of non-Bharatiya Janata Party (BJP) chief ministers and chief of opposition parties. West Bengal Chief Minister Mamta Banerjee, Puducherry Chief Minister Narayanasamy, Andhra Pradesh Chief Minister Chandrababu Naidu, Telangana Chief Minister K. Chandrashekar Rao will be attending the ceremony. Apart from this, Samajwadi Party chief Akhilesh Yadav, BSP supremo Mayawati, Rashtriya Janata Dal's Tejashwi Yadav, Makkal Needhi Maiam founder Kamal Haasan and DMK Working President MK Stalin also invited for the ceremony.